Wander around the vibrant metropolis of Madrid and marvel at its lively squares, like the Plaza España or the Puerta del Sol with the famous bear statue on the arbutus. Experience the fascination of historical towns such as the university town of Salamanca, or the UNESCO World Heritage site of Ávila, and the town of Toledo, enclosed by the fortress walls. Savour the sun-drenched expanses of Castile, the land of Don Quijote. Welcome to Spain’s splendid capital – Madrid. A unique itinerary awaits us on our journey, covering many of the highlights of central Spain. The royal city in the heart of the country has been the Spanish capital and its royal residence since the 16th century. Some of the splendid buildings from that time still define the cityscape today, such as the lively Puerta del Sol. This is where the zero-kilometre stone is located, marking Spain’s central measuring point. Our friendly, English-speaking tour guide will welcome us warmly at the airport. We will travel on board a modern and air-conditioned coach to our 4-star hotel in the Madrid area. We will spend the first 2 nights here in comfort. Today, we explore Spain‘s vibrant capital. On a panoramic tour, we will see the lively Puerta del Sol, the Plaza Cibeles and the famous Plaza España with its much-loved monument to Cervantes, the famous author of ”Don Quixote“. In the afternoon, you will be at leisure to explore the magical global city for yourselves. It is certainly worth visiting the Palacio Real, which is still the official royal palace, dates from the 9th century and which has more than 3,000 rooms. Also worth a visit is the Prado Museum which, with over 10,000 works, has one of the most extensive collections of paintings in the world. After breakfast, we set off for Escorial. The impressive monastic residence, El Escorial, was built in the 16th century and was the political epicentre of the reign of Phillip II, who lived in this palace for 14 years. The monastery complex has been declared a UNESCO World Heritage site. We would be delighted to take you with us on a fantastic, optional tour through this imposing building. The exciting historical background information will inspire and delight you. Later on in the afternoon, we will travel on to Salamanca, where we will spend the next 2 nights in 4-star comfort. After breakfast, we will explore the famous university city of Salamanca. It is home to one of the oldest universities in Europe. Its old town, with its old cathedral dating from the 12th century and the new cathedral dating from the 16th, is also a UNESCO World Heritage site. The impressive Plaza Mayor in Salamanca, a former bull-fighting arena, is regarded as Spain‘s most beautiful square with its enchanting arcades. Visit all of these attractions and also the famous Casa de las Conchas, or the house of shells, on an optional guided tour of the city. Afterwards there will be plenty of time for you to carry on exploring the city on your own, or to relax in one of the city‘s many cafeterías. Today, we travel to Spain‘s highest provincial capital, Ávila. The city was declared a UNESCO World Heritage site in 1985. Its most significant monument is arguably the 2,500-metre-long, completely preserved city wall with its 88 towers and 9 city gates. It was originally built by the Romans. The imposing Cathedral del Salvador is also part of the fortifications. It is Spain‘s first Gothic cathedral. We’ll spend the next 2 nights at our 4-star hotel in Ávila. Today you will have plenty of time to relax. Enjoy the amenities at your 4-star hotel or take a wander through Ávila. The welcoming little town is ideal for meandering and shopping. It is the perfect place to experience the Spanish passion for life in one of the many traditional bars over tasty tapas and a cerveza. Today, we travel to the mediaeval city of Toledo. Behind the mighty fortifications of this ancient city, we will marvel at a rich historical heritage. The old town here is also a UNESCO World Heritage site. The cathedral – one of the Spanish Gothic movement‘s most significant buildings – rises majestically over the roofs of Toledo. Take our optional and informative guided tour of the city to explore the old town and the Jewish quarter, and pay a visit to the Church of Santo Tomé. This is where the world-famous painting by El Greco entitled ”The Burial of the Count of Orgaz“ hangs. Afterwards you will have plenty of time at leisure before we head back to Madrid. We will stay overnight in a 4-star hotel in the Madrid region. Today, we say farewell. Our fascinating and blissful week is drawing to an end. New friendships will have formed, and many of you will doubtless be saying ”We hope to see each other again on the next trip!“. The transfer takes us to the airport, where we board our return flight to the UK. You will love our selected 4-star hotels ! Including a spectacular range of excursions, with i.a. 3 World Heritage sites ! Fascinating cultural tour in our modern, air-conditioned travel coach with the best highlights in the heart of Spain. The package includes guided tour & entry to the El Escorial monastery residence, guided tour of the city of Salamanca including admission to the university and the new and old cathedral, city tour of Ávila including admission to the Gothic cathedral and a guided tour of the city of Toledo including admission to the Church of Santo Tomé: only £199 per person. The package includes comfortable half-board, i.e. 7x sumptuous dinner with Spanish and international specialties: only £159 per person. Spain is south-west of the Pyrenees on the Iberian Peninsula. Its neighbouring states are Portugal, Gibraltar, the Principality of Andorra and France. Parliamentary constitutional monarchy. King Felipe VI has been the head of state since 19 June 2014. Pedro Sánchez has been the head of government since 2 June 2018. Spanish (Castellano) is the official language. The respective regional languages have official status in the autonomous regions of the Basque Country, Galicia, Catalonia and Valencia. Electricity in Spain is supplied at a voltage of 230 V and in the form of alternating current with a frequency of 50 Hertz. You need an adapter in your hotel. Spain is part of the Central European Time zone where GMT+1 applies, along with daylight saving time. To make phone calls to the UK, pre-dial 0044 (+44). To make phone calls from the UK to Spain, pre-dial 0034 (+34). British nationals do not need a visa to visit Spain. Your passport should be valid for the proposed duration of your stay; you do not need any additional period of validity on your passport beyond this. Nationals of other countries are advised to inquire at the Spanish Embassy about the entry requirements applicable to them. Spain is a contracting party to the European Agreement concerning the movement of persons between member states as agreed by the European Council on 13.12.1957. With the exception of provisional ID cards, travel documents must not have expired by more than one year. 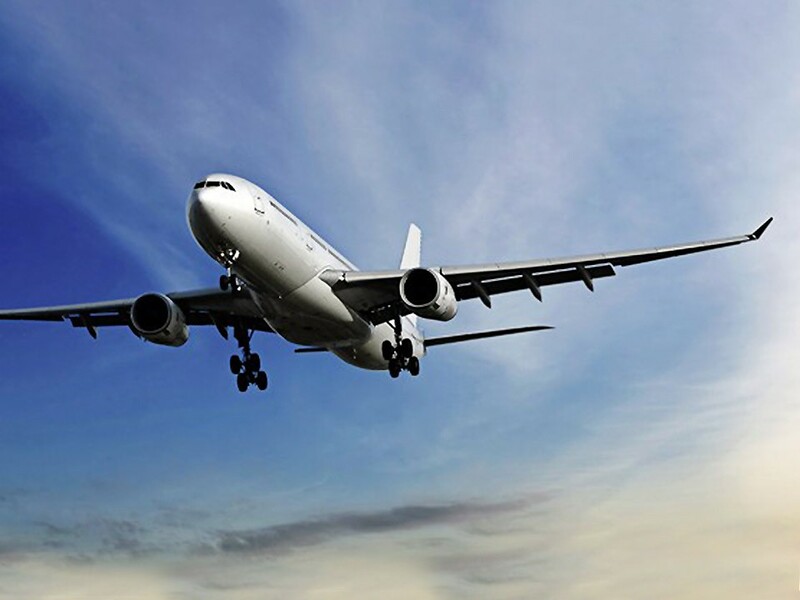 It must be noted, however, that departure from Spain by air is only possible with a valid ID document on account of the prevailing aviation security requirements. As a general rule, these entry requirements apply for all citizens of the European Economic Area (EEA). The UK government recommends that travellers going to the EU after 29 March 2019 have six months left on their passport, and is also advising that any extra months which have been added to a 10 year passport will not be valid. You can check your passport validity here: https://www.passport.service.gov.uk/check-a-passport. For up-to-date informations on developments regarding BREXIT, please visit the ABTA page at regular intervals: https://www.abta.com/. Your expert tour guides will be able to provide you with detailed information about the country, people, history, culture etc., and offer advice and assistance for organising your trip. They can also help with room allocation and look forward to welcoming you with initial information and a welcoming drink. Here you will find out all you need to know and useful information about the trip. We have put together a varied programme including numerous highlights, enabling you to experience the culture and diversity of landscape that Spain has to offer, and learn all about the country and its people. Although your trip already includes a comprehensive package, you also have the option of choosing added extras on arrival. Gourmet Package: The package includes comfortable half-board, i.e. 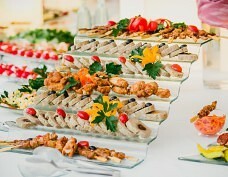 7× sumptuous dinner with Spanish and international specialties: only £159 per person. Cultural Package: The package includes guided tour & entry to the El Escorial monastery residence, guided tour of the city of Salamanca including admission to the university and the new and old cathedral, city tour of Ávila including admission to the Gothic cathedral and a guided tour of the city of Toledo including admission to the Church of Santo Tomé: only £199 per person. The euro has been the official currency in Spain since 2002. Exchange rate (as at February 2019): 1 GBP = 1.14 EUR; 1 EUR = 0.87 GBP. Purchases can be paid for in cash and using the most popular credit cards. This payment system is typical in Spanish shops; the symbols of credit cards accepted are usually displayed at the entrance to shops. ID cards are required when paying by credit card. Travellers’ cheques (in dollars or Euro) can also be cashed in banks. It is also possible to withdraw cash from ATMs using EC/Maestro cards but high fees may be charged by the respective bank. Private persons travelling within the EU can purchase and export goods without limits on quantities if they are for personal use and not intended for resale. The customs regulations for the UK can be viewed on the British Customs Web site www.ukba.homeoffice.gov.uk or queried by phone. Crime: Vigilance should be exercised regarding pickpockets and petty crime in larger tourist centres in particular. We recommend leaving cash, identity documents, driving licences, air tickets and other important documents in the hotel safe, for example, and only carrying the cash (and EC or credit card) you need on a given day on your person. Travellers should try to steer clear of large groups of people and keep an eye on their valuables at tourist spots, airports (including in the security area), railway stations, the metro, buses etc. Vaccinations: The standard vaccinations for children and adults should be examined and supplemented prior to travelling. The Foreign Office Medical Service also recommends vaccination against hepatitis A and B in cases of particular exposure (e.g. current outbreaks, basic travelling conditions, hygiene deficiencies, missions, inadequate medical care, particular professional/social contacts). Please consult a doctor specialising in tropical illnesses. Customers must ensure that they are in good physical and mental health in line with the trip in question. Customers must enquire about the physical mobility and psychological autonomy required for this trip. In Spain, anyone with state insurance in the UK is entitled to medical treatment – where urgently necessary – by doctors, dentists, hospitals etc. registered with the foreign statutory health insurance association. The European Health Insurance Card (EHIC) or Replacement Certificate must be presented as proof (both documents can be obtained from your health insurance company). Nonetheless, you are urgently recommended to take out travel health insurance for the duration of your holiday which covers risks not assumed by the statutory health insurance companies (e.g. 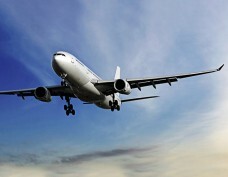 repatriation to the UK in the event of illness, treatment by private doctors or in private hospitals). Please note: In the event of a no-deal BREXIT, UK registered EHICs will no longer be valid. You can also contact your health insurance company for information on current regulations. Customers should ensure that they are physically and psychologically fit for undertaking the selected trip and make the necessary queries concerning the level of physical and psychological fitness required. Please observe that the excursions are accessible by foot only and that the buses used for the roundtrip are not customised to transport wheelchairs or similar devices.